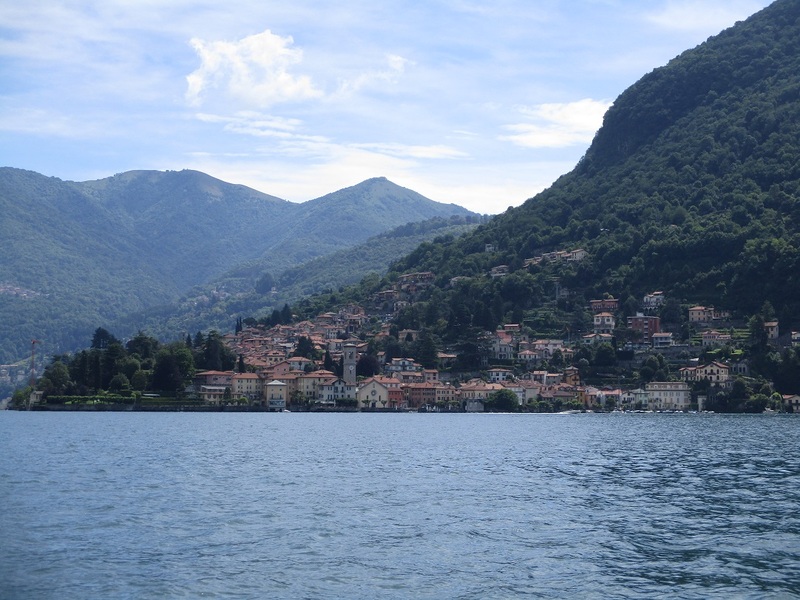 This entry was posted in Italy, Lake Como, Travel and tagged ferry, lake, water. Bookmark the permalink. A boat cruise gives you a different perspective. I love doing it too. Lake Como is in my bucket list. That would be fun to visit there. It was so much fun – perfect weather and spectacular scenery! I think it would be amazing to live there – it’s such an impressive and beautiful place! What a wonderful Cruise You made and showed to us so beautiful photos. Thank You. Thanks – it was really interesting to see everything from the water instead of the land! You make a good observation about how open it was, and it was a wonderful experience to see local people using the ferry in addition to all the visitors! Beautiful scenery from the ferry, Mag! Love these photos. We did on our first trip to Lake Como. Thanks Amy – being on the ferry was such a great way to get an overview of the area! Most lovely. I have never been on Lake Como or even on the shore! Perhaps next visit! Thanks for letting me join you on the ride, it looks so wonderful! It is both charming and welcoming and I think that you’d really like it. I’m happy that you came along on the ferry ride! Brings back beautiful memories, Meg! It’s a lovely part of the world. :) Great photos! Thanks Jo – I think this is a marvelous place and I’d like to go back again! How beautiful! You really got some great shots. We visited Stresa a few years ago (in the fall, so much colder and less crowds! ), and really enjoyed that area. It’s a “go back” for us, so we should put Como on the list. Thanks for an Italy visit for me today…LOL! Thank you – it was a wonderful and unforgettable day! Hi Bea, I enjoyed traveling in Italy so much! I saw information about the Expo at the airport but I wasn’t able to go. I was also in Parma, Genova, Portofino, and lots of other places. Everywhere I went was wonderful! I went to Milan on the train from the airport so I walked to the Sforza Castle, the Duomo and la Scala. Your suggestions were wonderful and I’ll definitely see the places you described the next time I’m there! I love Lake Como and the ferry is a great way to get around in the area. Lake Como is so charming and the ferry was such a convenient way to see the area and relax at the same time! Great photos and the ferry on Como is as you mention, relaxing. Totally affordable too! Lake Como so lovely and travelling by ferry is a great way to see it. I agree – the ferry provided a wonderful panorama of the whole area and I was able to take lots of pictures too! Beautiful! This may be the first thing I’ve read about Lake Como that doesn’t mention George Clooney, lol. I was so focused on the scenery I couldn’t think about anything else!! I’m always intrigued by houses clustered on the hillsides. I am too and there were lots of beautiful houses on many different levels! It is such a scenic place. Did you walk up to the church on the hill? It is not far from the place where IIl Duce was caught. I didn’t see that when I was there but I’m hoping to go back again in the future!